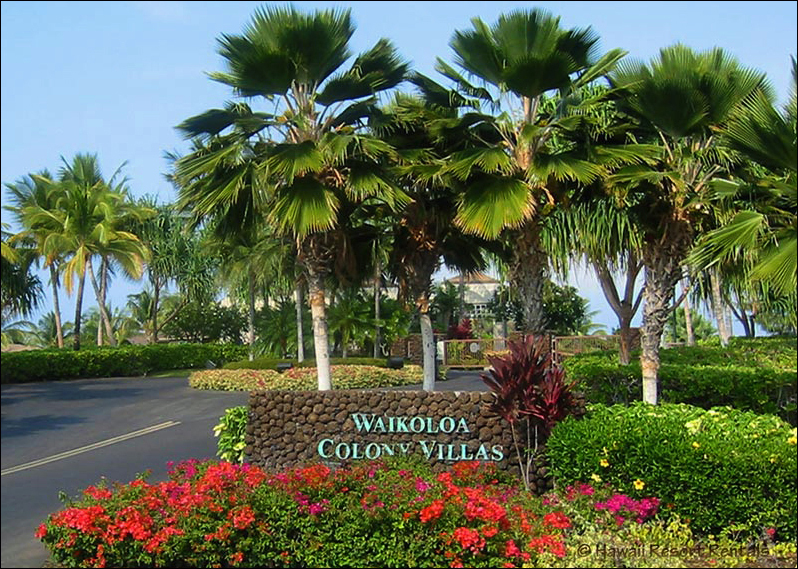 Our gated complex is located on the 10th fairway of the Waikoloa Beach Golf Course. 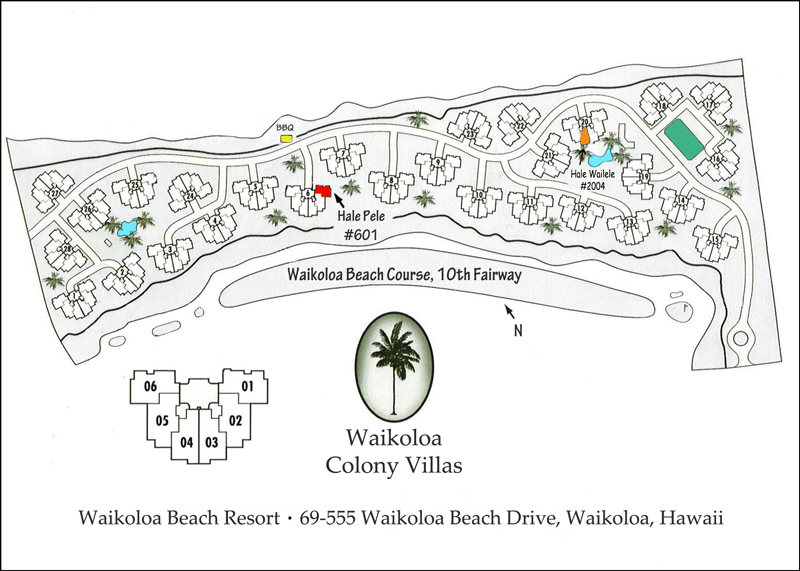 Spread over 22 acres, it is landscaped with tropical plants and over 250 palms. 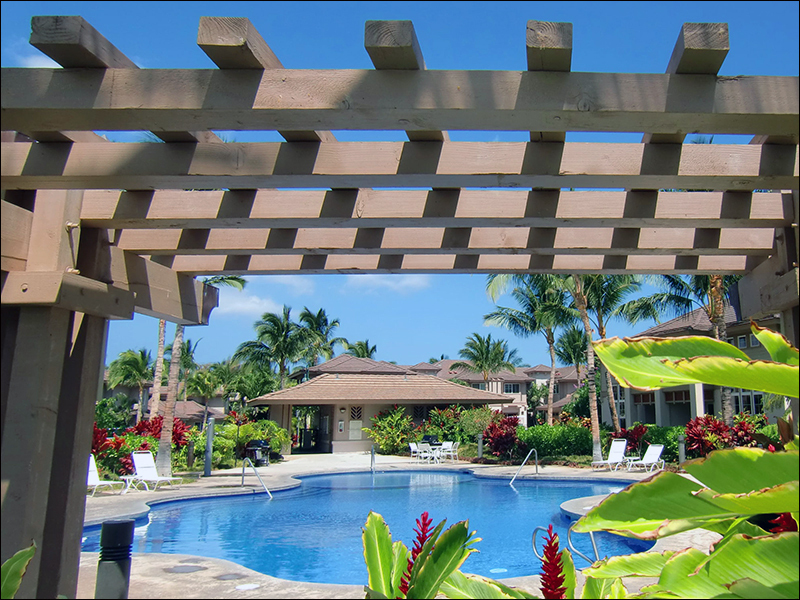 You will be struck by the serene sense of privacy and aloha spirit. 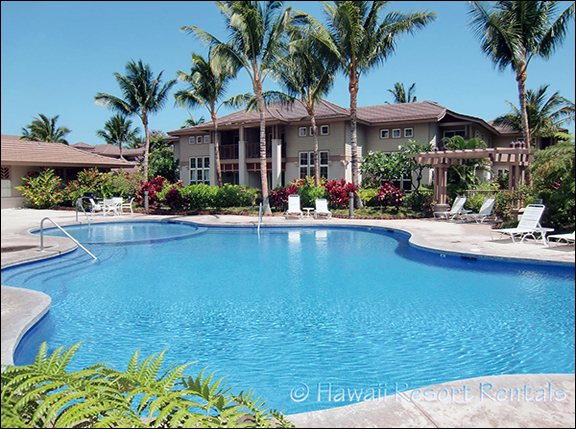 Relax around either beautifully-designed pool surrounded by tropical landscaping. 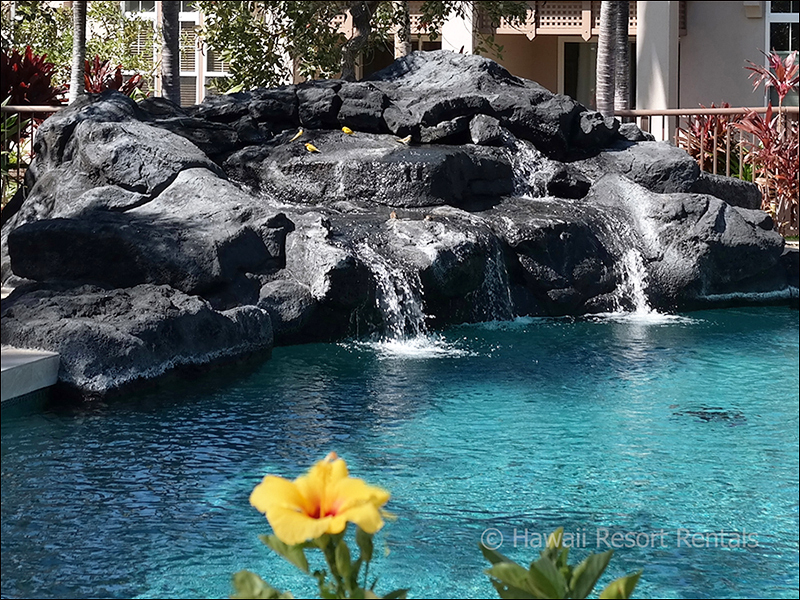 One pool features a lava rock waterfall and bubbling spa. 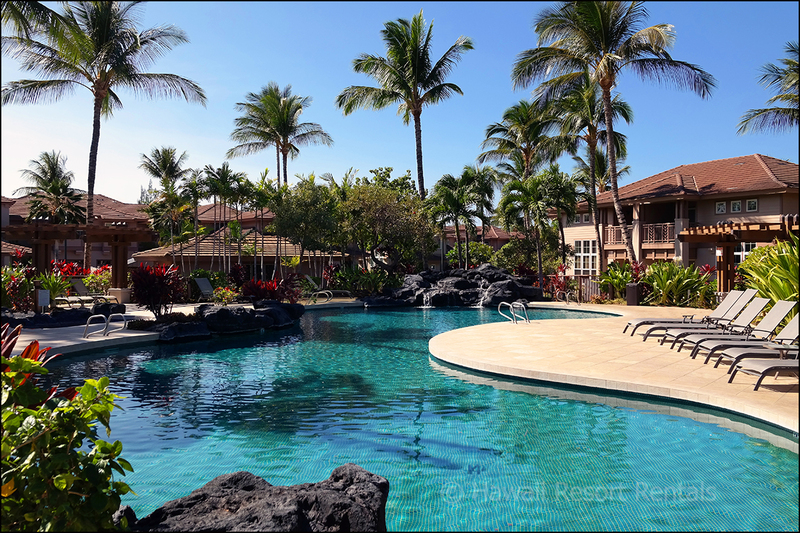 Our second sun-splashed pool features an 18-inch deep area for toddlers. Both newly retiled pools have gas BBQs, tables and lounge chairs. 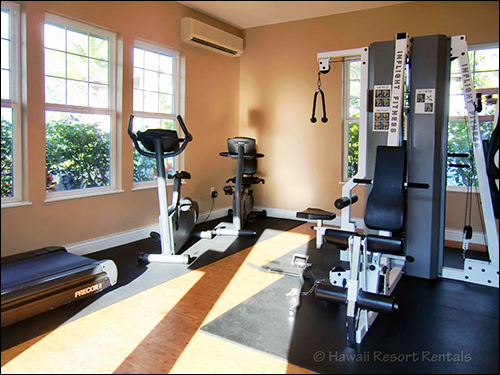 Start your day at Waikoloa Colony Villas with a dip in the pool and then pop in at the air-conditioned fitness rooms next to the main pool. Both rooms are well-equipped and include large TVs. 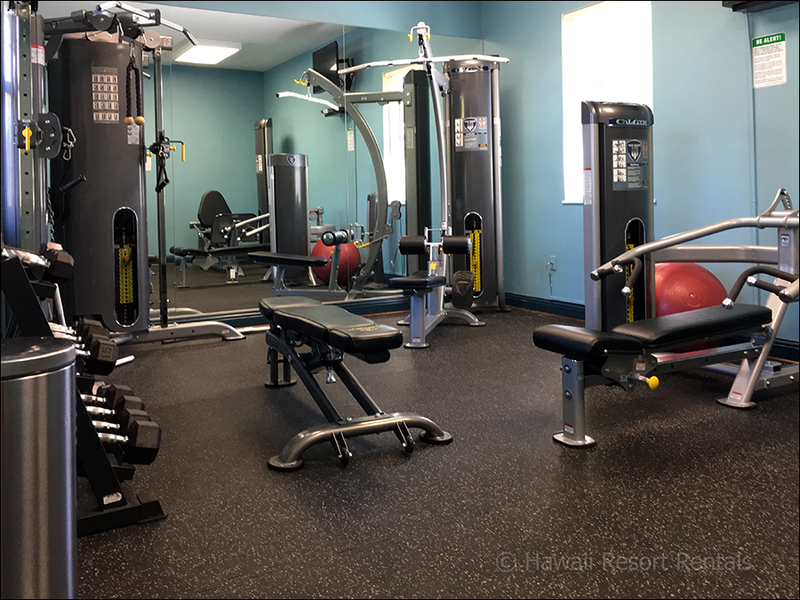 The second fitness room features weight training equipment. 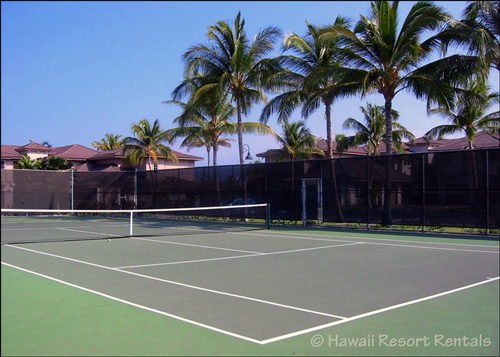 Play a quick game of tennis right across from the main pool and gym. You will find a variety of tennis rackets in our villa. 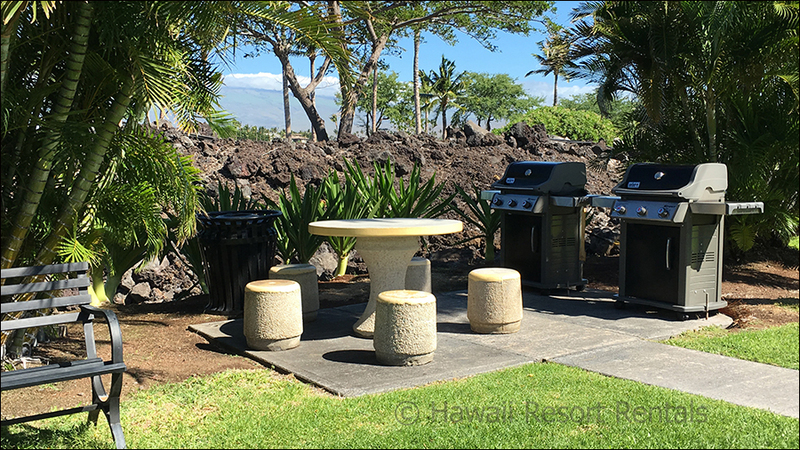 A picnic area with two gas BBQ grills, located across from Hale Pele, offers another social spot to cookout with friends and neighbors.